9:00am. Just moved to Arizona? Want to learn about hiking in the Sonoran desert? Tips provided on what to carry into the desert, how to "read" a trail in the Superstition Mountains, and how to enjoy the hike. An easy 2 mile hike lead by volunteer Hiker Barb. Join us at Cholla Day Use. 1pm. Learning more about the native plants and trees here in the Sedona area is a great way to enhance any hike! Our volunteer naturalist will explain how plants were used for various reasons by local indigenous cultures and by people in our contemporary times. This interpretive experience is for both the beginner and experienced hiker, lasting between 2-2 ½ hours with an elevation gain of 250 feet. The hike is included with your entrance fee. Please bring water and wear suitable footwear. Meet up at the Visitor Center a little before 1pm. 6:30pm. Learn about the wonders of the universe by attending one of our famed state park Star Parties! This family-friendly event is free with regular admission, and will be held on the Island parking lot. Telescopes provided by the Desert Stargazers Club. 10am.–1pm. Spinning is one of the oldest surviving crafts in the world. The tradition of weaving traces back to Neolithic times – approximately 12,000 years ago. Watch and learn how fiber and spinning impacted human activity from ancient to modern times. A knowledgeable volunteer will demonstrate how the spinning wheel produces thread from fiber, and you are welcome to experience spinning with a drop spindle. Included with park admission, $5 adult, $2 youth 7-13, children free. 10am.-Noon. Come explore colorful Old Tubac that even some of the locals don’t know about! Guided by Connie Stevens, you’ll discover fascinating facts about the town’s early adobe buildings and learn about Arizona’s first European settlement. Topics from early Native American inhabitants, Spanish explorers, American pioneers, Apache attacks, kidnappings, and other exciting episodes are discussed. Meet at the Park’s Visitor Center. Allow 2 hours for the tour and wear walking shoes, sunscreen and a hat. $10 fee includes admission to tour the Presidio Park. Tour limited to 20; reservations requested, 520-398-2252 or info@TubacPresidio.org. 2pm. Come with your houseguests, friends, and neighbors and enjoy festive music from the Old and New World. Start your holiday season by celebrating the history of our local culture! Hear works by Morales, Guerrero, Padilla, our good friend Anonymous, and others. Nuevo Mundo, Cochise College’s early music ensemble, specializes in the performance of early vocal and instrumental music of Spain and the Americas and has delighted Tubac audiences for the past four years. They are hugely talented and a delight to see and hear. Proceeds from the concert will be divided between the Cochise College Music Scholarship Fund and the Friends of the Tubac Presidio and Museum. Tickets $15, free for children 14 and younger. Seating is limited, please call now for reservations, 520-398-2252. Join Arizona Roundup at Buckskin Mountain State Park as they showcase their vintage trailers for the ninth year. The group welcomes visitors to enter and get an up-close view of their trailers. The Arizona Roundup is comprised of a group of friends who camp throughout Arizona year-round in either vintage or teardrop trailers.Cost of entry is the park's regular day-use fee. 8:15am. Park and meet at main trailhead parking (near the two buildings). Hike Canyon Loop Trail, take the Sutherland Cutoff Trail to Sutherland Trail, snack on the flat rocks in Cargondera Canyon, and return by the same route. 6 miles, 700' elevation. 3pm. The Tucson Bandstand invites you to Catalina State Park’s First Saturday Concert Series. They will be sharing 60s and 70s jukebox tunes along with a few holiday tunes! Kick back under the trees and enjoy wonderful music with the beautiful Santa Catalina Mountains as a backdrop. All-day admission to the state park is $7 per vehicle (up to four adults). Be sure to join Catalina State Park for our First Saturday Concerts throughout the year. 8:15am. Park and meet at the Equestrian Center parking. An easy hike, returning by another pleasant trail to make a loop. 7 miles, 450' elevation. 8:15am. Park and meet at main trailhead parking (near the two buildings). From main trailhead hike to cabin via unnamed trails and back by Canyon Trail South to parking. 7 miles, 400' elevation. 6:00pm - 7:00pm. R. Mark Fogelson captures the essence of traditional Folk Music by focusing on human stories, emotions and triumphs. His songs harken back to an era when storytellers handed tales down through generations, yet they remain powerful commentary about the rapidly changing world in which we live. Join us at the Palo Verde Ramada around a campfire for songs and stories! 1:00pm. 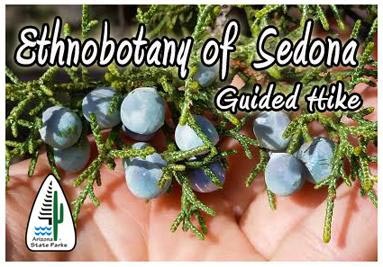 During this informative walk you will be introduced to edible/medicinal plants of the Sonoran Desert. Healing plants will be identified and discussed. This will be an easy one mile loop “stroll” beginning at Cholla Day Use Parking lot. Bring water, sunscreen, hat and proper hiking shoes as well as pencil and paper to take notes as you forage with Ranger Erica!. 9:00am. Join volunteer “Birder Vera” for a morning of discovering the birds of the desert. Learn how to identify the birds in your back yard, the proper use of binoculars, where to find birds in our area and then take a guided walk through the desert to practice new skills. Bring binoculars if you have them, appropriate clothing, water and enthusiasm, but no dogs or small children please. Expect to have some surprises and fun! Meet at the Native Plant Trail parking area on the right before reaching the ranger station for orientation. Participants will then relocate to Cholla Parking Area. 7:00pm. Join Dr.Sky, a radio/TV journalist based in Phoenix, for An Amazing Night Under the Skies. What planets will we see in the dark desert sky? Dress warmly and be prepared to be amazed at the sightings. Palo Verde Day Use parking (weather permitting). 7:00pm - 9:00pm. Join us for a guided 2.5 mile hike on Jacob’s Crosscut Trail at the base of the mysterious Superstition Mountains. Hikers should dress appropriately and wear trail shoes or boots. Please bring a flashlight in case of cloudy conditions. Some parts of the trail are rocky and uneven with occasional steep grades (elevation gain: 120’). Participants should be in good health with no walking or night vision difficulties. Trail is NOT suitable for strollers or walkers. After the hike gather round the campfire for a marshmallow roast (marshmallows and sticks provided). No pets, please. Parking in Cholla Day Use area. There is a limit of 100 hikers, so please call in advance to reserve your space: 480 982-4485. 9:00am.Meeting in the Saguaro Day Use area, there will be a brief discussion about how to tell one bird from another, then we’ll be looking for resident birds (from hawks to hummingbirds) and for any late migrants on their way south. After birding the Saguaro Day use area, we’ll look for birds as we walk up toward Jacob’s Crosscut Trail. We’ll make the short loop around and back to Saguaro Day Use lot, birding as we go. This is more of an “amble” than a hike as we let the birds come to us. Bring binoculars, water and wear sturdy trail shoes. No dogs, please. Led by volunteer “Birder Babs”. 9:00am. Join us at Siphon Draw Trailhead for a 4.2 round trip hike to the basin (slick rock waterfall area). Along the way we will pass some remnants of an unsuccessful mining attempt, identify strangely named rock formations and look at layers of rock from the volcanic explosion that make up this portion of the Superstition Mountain, all of this while hiking the steady uphill grade on a less than smooth trail. Elevation change - 1030 ft. Wear sturdy trail or hiking shoes, carry at least 2 bottles of water and bring a snack for a 3 hour moderately strenuous hike. Led by volunteer hiking leader Grady. 4:45pm. Following the Treasure Loop trail to Jacobs Cross Cut and intersecting with Siphon Draw Trail will find hikers marveling at the mountain and the sky full of color, especially when there are a few clouds. A photographer’s delight! Elevation change is 102 ft. on very well maintained trails. Easy 2 hour hike. Wear hiking shoes and carry water. Bring a flashlight for return to parking lot. Meet at Saguaro Day Use area. Led by volunteer hiking leader Barbara. 7:30pm. Learn about the night sky, constellations and planets with local astronomer Bill Dellinges. Parking and seating at campground amphitheater. 1pm. - 4pm. Make your own holiday wreath using plant material gathered at Oracle State Park, including soapberry, mistletoe, buckwheat, manzanita, juniper and more. Space is limited; please call for a reservation. The workshop fee of $10 includes park admission. 1pm. Would you like to know more about the black bear of Arizona? Then this is the program for you! Information about bears, an appearance from the "Everywhere Bear," and information about safety around bears will be presented in this interactive 30 to 40-minute program presented by interpretive docent Richard Boyer in the living room of the Kannally Ranch House. You might even win a prize for your knowledge about the black bear! Free with park admission; reservation suggested. 1pm. Sedona is located at the base of the Mogollon Rim, the southern edge of the Colorado Plateau. The escarpment is over 200 miles long and ranges in elevation from 2,000 to 3,000 feet. Over millions of years of erosion the rim has receded over four miles leaving behind the picturesque features of Sedona. Join our knowledgeable volunteers as they venture out on our trails and discuss how the beautiful red rock formations developed over long periods of time. This is an interpretive experience for both the beginner and experienced hiker, lasting between 2-2 ½ hours and an elevation gain of 250 feet. Please bring water and wear suitable footwear. This hike is included with the park entrance fee. 1pm. Red Rock State Park has been a destination for Native Americans for several millennia. Most of the ancient features found in the park are from the Sinagua culture dating about 1100 to 1425 AD. Come and hear the fascinating story of the pre-Columbian people who lived and traveled in the park! The hike will identify the various archaeological features and interpret them into the wider context of important regional Sinagua sites. And we will explore ideas of other cultures that may likely have made use of the park’s resources. The hike will last about two hours, with an elevation gain of some 250 feet, along easy trails. Please bring water and wear suitable footwear. This hike is included with park entrance fees. 9am - 11am. Meet Santa & Mrs. Claus, enjoy refreshments, arts & crafts, gits for the kids, carriage rides and more. FREE! 8am. Learn about the wonderful world of native birds on this educational walking tour in the park! You'll be led through the park by Jeff Coker, an 18-year birder who has led tours for the Audobon Society and the Elderhostel Program. So bring your binoculars and bird books, wear comfortable shoes, and be sure to dress for the weather, and enjoy the sweet songs of our state's birds! Attendees should meet at the Island Parking Lot. Cost of event included in park admission fee. 11am.–2pm. A knowledgeable volunteer demonstrates the Washington Hand Press used to print Arizona’s first newspaper in 1859 and answers questions about hand press printing, type setting, and other aspects of this marvel of industrial engineering. You will get to set type and print small samples to take with you. Included with park admission: $5 adult, $2 youth 7-13, children free. 10am.–4pm. In recognition and celebration of the many cultures that were historically and are presently associated with Santa Cruz Valley, the Tumacácori Fiesta presents the traditional creations of these cultures. The fiesta features around fifty food and craft booths, continuous live entertainment on stage, and children’s activities each day. On Sunday, the day begins at 10 am in front of the Visitor Center with a procession through the Fiesta grounds to the historic church, followed by a traditional Mariachi Mass. The mission grounds and park are open throughout the weekend and admission is FREE. 2pm. The history of the West is not just the story of men. Jack tells us the fascinating story of some of the women on the Arizona frontier, who were as tough and hardy as the men, but who also brought civilization to this land. He focuses on three women: an Apache, a Spaniard, and a New Englander. Their stories are all pertinent to the development of Arizona. Jack will also talk about other women including governors, judges, a bridesmaid of Eleanor Roosevelt, the Captain of the “Arizona Navy”, the first territorial historian, a famous painter and architect, and a stagecoach robber! Wine and hors d'oeuvres will be served. $15 per lecture. A portion of the proceeds supports our education and preservation programs. Please call for reservations and future dates, 520-398-2252. 2pm. Dolan Ellis returns celebrating 50 years as Arizona's Official State Balladeer. Dolan has graced the national folk music stage for many years, both as a member of the New Christy Minstrels, as a solo performer and has contributed to folklore preservation - one of the most notable aspects of his work. He has dedicated his life to the art of music and storytelling - please call 520-398-2252 today to reserve your seat and join us for this very special concert "Dolan Ellis - Arizona's Official State Balladeer - Celebrates 50 Years". Tickets are $20, children 14 and under are free. Seating is limited, so please make your reservations early, 520-398-2252. 10am- 1pm. In celebration of the village-wide “Dipped in Tubac” Chocolate Festival, everyone is invited to come and discover the rich history of chocolate in the Southwest. Taste a cacao bean, learn how the Mayans and pre-Columbian Native Americans prepared their chocolate, and sample the energy drink that fueled the 1774 and 1775 Anza expeditions from Tubac to Alta California. Included with park admission, $5 adult, $2 youth, children free. 2pm. Robert Zimmerman, an award-winning science journalist and historian, tells the hidden story behind the Apollo 8 mission, describing its background and how this one mission changed both American and world history forever. It was Christmas Eve, 1968, and the astronauts of Apollo 8 -- Commander Frank Borman, Jim Lovell, and Bill Anders -- were participants in a mission that took them faster (24,000 mph) and farther from the Earth (240,000 miles) than any human had ever traveled. More importantly, Apollo 8 was the mission that broke humanity's absolute bond to the Earth, the first mission to leave the Earth's orbit and go to another world. Don’t miss this fascinating talk! Call (520) 398-2252 to make your reservation. $10.00 fee includes admission to tour the Park. 11am.–1pm. Special tour by Phil Halpenny and Gwen Griffin of the Spanish colonial archaeological site just south of the Park which preserves the remains of the original Tubac town site, including residence foundations, plaza area, refuse area and partial irrigation ditch. Meet at the Park’s Visitor Center. Tour involves a walk of about 1-1/4 miles. The Archaeological Conservancy protects this site and participants are asked to sign 'An Acknowledgement of Risk Factors' before entering. Wear walking shoes, sunscreen and hat. $10 fee includes admission to tour the Presidio Park. Tour limited to 15; reservations encouraged, 520-398-2252 or info@TubacPresidio.org. 2pm. Our own Artist-in-Residence Teodoro ‘Ted’ Ramirez will give his annual “Holiday Season Concert” in the 1885 Territorial Schoolhouse, sharing the stage with several outstanding musical friends: Nancy Elliott (storyteller/singer/seamstress), Blaine McIntyre (musician/songwriter for Ian Tyson), Michael Markowitz (mandolinist, physician), Ellen Edmonson Murphy (singer/songwriter/bi-lingual teacher and daughter of Southwest music legend Travis Edmonson), and Ted’s beautiful and talented grandniece Leah Frost Blue (ballerina). Experience the joy of the holiday season Southwest style. Don't forget to invite visiting friends and neighbors. Tickets $18 adults, free for children 14 and younger. Seating is limited, please call now for reservations, 520-398-2252.